Social networking sites could eventually eliminate entirely the need for the offline socialising that has become the cornerstone of the festive season.Most people have heard of Facebook but there are plenty of rivals vying for its crown. The BBC News website dips into some of the more interesting alternatives in a bid to make sure that no-one need be lonely this Christmas. A good one for the teenagers as this virtual environment was created specifically for that age group. The community was launched back in 2000 and combined the idea of a chatroom with an online game. It has recently had a makeover to improve access to personal pages, friends and groups and bring it more up to date for the generation most at home on social networking sites. 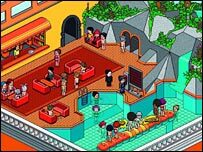 It allows users to create their own personalised Habbo character and dress it with accessories, including hats, belts, jewellery and facial hair, as well as gas masks, paper bags and hairstyles. Earlier this month it teamed up with Greenpeace to see what its members thought about global warming. Some 50,000 teenagers filled in the survey and 74% rated global warming as their biggest concern, ahead of drugs, war or violence. The site now has, of July this year, more than 82m registered characters. According to Nielsen/NetRatings Habbo attracted an audience of 292,000 from the UK during the month of October. 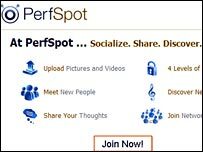 Perfspot is a social networking site geared toward university students and young professionals, and its ethos is based on the desire to obtain a “perf” life. It offers most of the usual features of social networking, including newsfeeds, customisable profile options and the option of linking photos to other users’ profiles plus unlimited space to upload images and videos. It hit the headlines in the late summer, becoming the fastest growing social networking site. In the months April to August 2007 it grew a massive 756%, compared to Facebook’s 541% growth. As the UK’s fastest growing brand this year it is a good illustration of how social networks can come out of nowhere if they hit the right note with users. 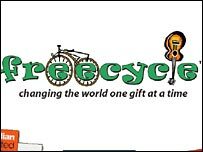 If you have an interest in the environment and like the idea of reusing other people’s junk, or have unwanted Christmas presents that you want to recycle then Freecycle could be for you. The non-profit network is based on the premise that “one man’s trash is another man’s treasure” and is about harnessing the power of the internet to connect communities and ‘gift’ each other everyday objects that they no longer want. It is a global network made up of over 4,000 groups. It now has in excess of four million members, and is adding 25,000 new members each week. Each group is moderated by a local volunteer and the main thrust of it is to “reuse and keep good stuff out of landfills”. Remember to get a designated driver. Please don’t drink and drive.